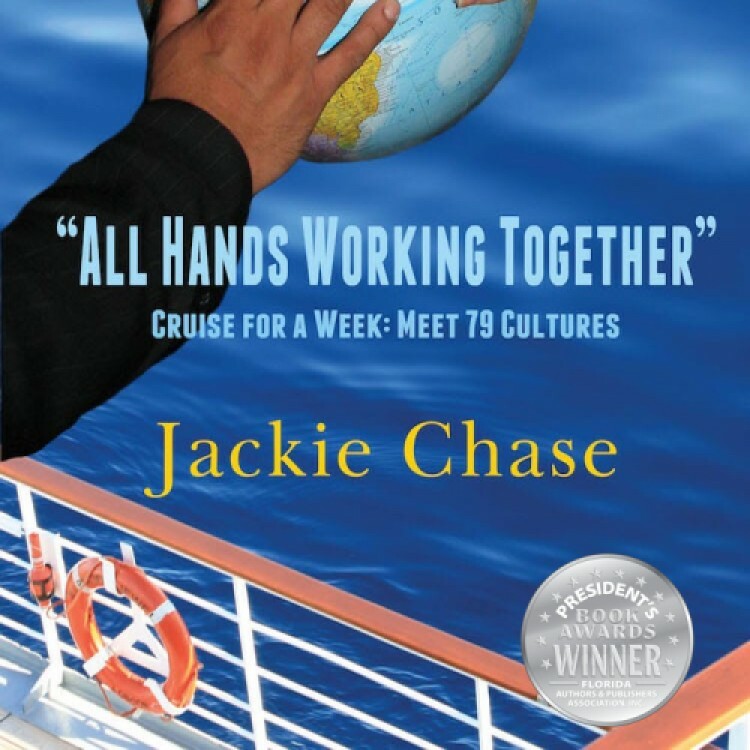 The Annual 2017 Florida Authors and Publishers Association President’s Book Awards recognized All Hands Working Together – Cruise for a Week: Meet 79 Cultures by Jackie Chase, in the category of Business Books, as a Silver medal winner. Hosted by the Florida Authors and Publishers Association, this prestigious national award is open to books published between 2016 and 2017. “The FAPA President’s Book Award exists to promote excellence in the publishing industry by recognizing talented contemporary authors who put both heart and soul into their work. FAPA is proud to be a champion of authors and publishers going the extra mile to produce books of excellence in every aspect.” said Jane R. Wood, President-Elect of FAPA. All Hands Working Together – Cruise for a Week: Meet 79 Cultures is a business book, published by AdventureTravelPress.com. “We are proud to announce this year’s winners who truly embody the excellence this award was created to celebrate. We had a record number of entries this year. Competition was stiff! We salute all of our winners for their fine work,” said FAPA’s President, Terri Gerrell.